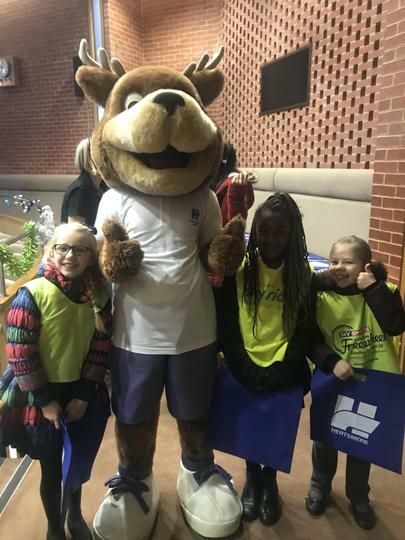 Please ensure your child has their PE kit in school every Monday, so it is ready for whenever it is needed as our timetable changes weekly. Please also ensure that your child brings their yellow spelling book into school each Friday, ready for the new spellings to be given. Please make sure you have everything in your child's PE kit. This week in maths we have begun looking at fractions; what fractions are, what the different parts of a fraction are and what they are called. We have looked at different models to help understand fractions, fraction complements that make 1 whole, and we have practised adding and subtracting fractions. In English, we looked at a film version of a narrative poem to help gather ideas for, plan and then write our own narrative poems. This included investigating rhyme, rhyming couplets, writing in lines and working out the rhythm of lines. Putting all this together in a poem of your own is quite challenging and took us several days of editing and improving, but the children worked well to produce some good results. In topic work, we have written up our findings about Julius Caesar and we have begun to type these up in Word during computing. Our Science work this week has been to conduct an investigation into the changing states of water, where the children observed the effects of placing an ice cube on cling film over a bowl of hot water. 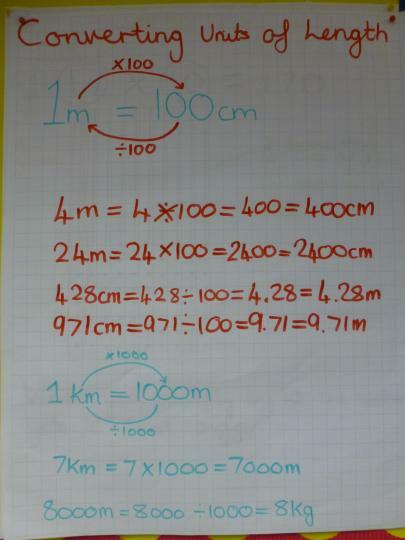 This week in Maths we have continued learning about numbers to two decimal places, tenths and hundredths, how to round these to the nearest tenth or whole number and how to add and subtract numbers including decimals. This has included looking at word problems with money and other measures. We have begun a new unit in English, looking at and learning about the features of narrative poems. We have compared poems such as Matilda, The Owl and the Pussycat and The Walrus and the Carpenter, as well as more complex poems such as The Raven, by Edgar Allen Poe. This included looking at rhythm, rhyming patterns, figurative language and the structure of different poems. The children have also had the opportunity to read aloud and perform sections of the poems. Our topic work has been to research on the internet and find out about Julius Caesar and what makes him such an important historical figure. Science this week has involved finding out about the different states of water and how water changes from a solid into a liquid, from a liquid into a gas and how these processes can be reversed. In common with the rest of the school, we began a new unit of work this week in English, where the focus has been on The Whisperer, a charming book by Nick Butterworth. This work is to coincide with World Book Day and Nick Butterworth himself will be in school next week to talk about his writing and promote his books. We have begun to link the story to reading, writing and performing playscripts and we have looked at a child-friendly version of Romeo and Juliet, which the book is loosely based on. In Maths, we have continued to learn about place value in decimals containing tenths and hundredths. We have worked on comparing and ordering numbers to two decimal places as well as rounding to the nearest tenth and the nearest whole number. Following this, we looked again at the effect of multiplying numbers by 10 and 100, particularly where the numbers include decimals. We designed an investigation into melting chocolate in science this week, discussing the importance of making a fair test and what the criteria for a fair test are. In English this week we have continued the work begun last week on journalistic writing. We first looked at the language used in newspaper reporting before discussing and investigating the difference between fact and opinion. Next, we revisited the rules of direct speech and the children interviewed each other in role as a link to our topic work on the Romans. Finally, we introduced reported speech and compared it to direct speech, with the children converting sections of direct speech into reported speech. Maths this week began with a continuation of our learning about refective symmetry in polygons, including drawing polygons with one, two or more lines of symmetry and investigating the difference between regular and irregular shapes in terms of their reflective symmetry. Following this work, we began a new unit looking into the place value of decimal numbers to 2 decimal places, linking these to tenths and hundredths. We looked at Roman religious beliefs and the Roman pantheon of Gods in our topic work, while as a continuation of the work on E-safety from last week, we discussed issues around cyber-bullying, how it may happen, how it links to bullying in general and what children should do if they feel themselves to be the victims of cyber-bullying. As with other forms of bullying, we stressed the importance of reporting any concerns to a trusted adult, both at home and in school. In English this week, we have continued to write our own narratives. We have been following our success criteria to make our writing the best it can be. We have been including speech and punctuating it directly and we have also been including fronted adverbials. On Thursday, we moved onto journalistic writing and we began to look at the features that are included in newspaper articles. This week in maths, we have moved on to looking at shapes and their properties. We looked at what makes a polygon and a quadrilateral. We also looked at which shapes have parallel and perpendicular side. When we were confident with this we moved on to look at lines of symmetry within the shapes. We took part in an E-safety workshop this week and we discussed our knowledge of online applications and social media. We then role played how to be safe online and what strategies to use. In English this week we have continued to read Gladiator Boy and are travelling on his journey with him. We have looked at the use of powerful verbs to make our writing more descriptive and interesting to pull the reader in. We then moved onto looking at a setting description and what information we would need to include. We explored what it would be like to be the gladiator leaving the tunnel and walking into the arena for the first time, while talking about the five senses. We then planned what we wanted to include in each paragraph of our setting description. By the end of the week we began writing our setting description. In maths this week we have moved onto looking at perimeter. We first explored what perimeter is and how we can calculate it in multiple ways. Then we looked at how we can find the perimeter of a shape using only two sides of the shape. Once we had a clear understanding of how to calculate the perimeter we moved onto problem solving. We have been using RUCSAC (Read, Understand, Choose, Solve, Answer and Check) to help us work through the problem and reach the correct answer. We have had a great start to the term this week! We began our new topic 'Rockin Romans' and have immersed ourselves into the invasion of Britain and soldier formations. In English this week, we have started to read Gladiator boy by David Grimstone. We looked at how an author can use their language to show a historical setting. We then looked at the main character Decimus-Rex and discussed what we can infer about him from the text and his emotions. Then we planned and wrote a character sketch about the main character before editing and improving our own writing. Maths this week started off by recapping what we have done previously with converting measures and then moved on to solving word problems the expected us to convert a measurement before being able to answer. While looking at these questions we discussed the language used and what this tells us about how to find the answer. Then we moved onto discrete and continuous data in bar charts and line graphs. We first looked at how to read and interpret these types of graphs. Then we moved on to collecting our own data. During PE we looked at moving to the music (dance) in time to form a 'testudo formation' which was used by Roman soldiers during battle to form protection. While studying our history topic we also looked at how the Romans attempted to invade Britain numerous time before being successful. In maths this week, we have been looking at how we convert units of time (hours, days, weeks). We first looked into how we could convert hours into minutes. We discussed our previous knowledge as we already knew there were 60 minutes in an hour. We talked about how we could multiply by 60 to find out how many minutes in a number of hours. We then moved onto using divide to convert minutes into hours. Once we were confident with this we moved onto converting days into hours and weeks into days. In English this week, we have continued our work on South Africa. We used our notes to begin planning what we wanted to include in our South Africa information report. We used the planning frame to think carefully about what vocabulary we wanted to include and what sub-headings would be the most appropriate. We then wrote out our paragraphs in draft form before we created our information reports. In English this week, we have been focusing on what we need to include in a non-fiction report. We first researched South Africa and started to discuss what and interesting fact was. We then worked in groups to read information from several sources and make notes in or own way. We then discussed when planning our report what would need to be included. 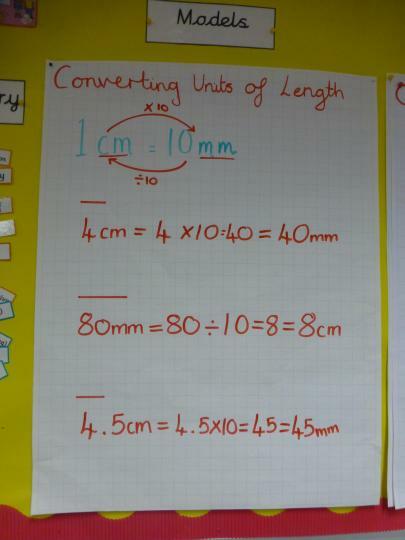 In maths this week, we have continued to look at how we can convert measurements. We first looked at converting m and km. 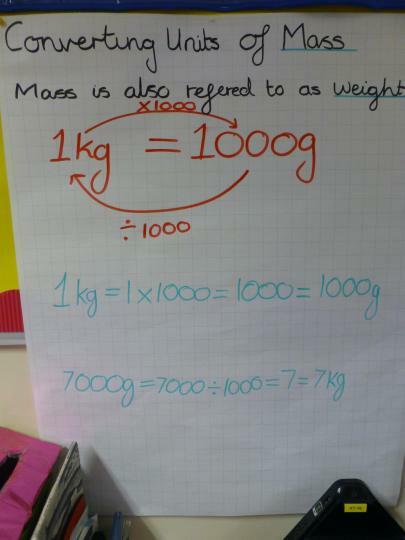 We then moved on to looking at how to convert mass and capacity. We have been using our skills to multiply and divide by 1000. 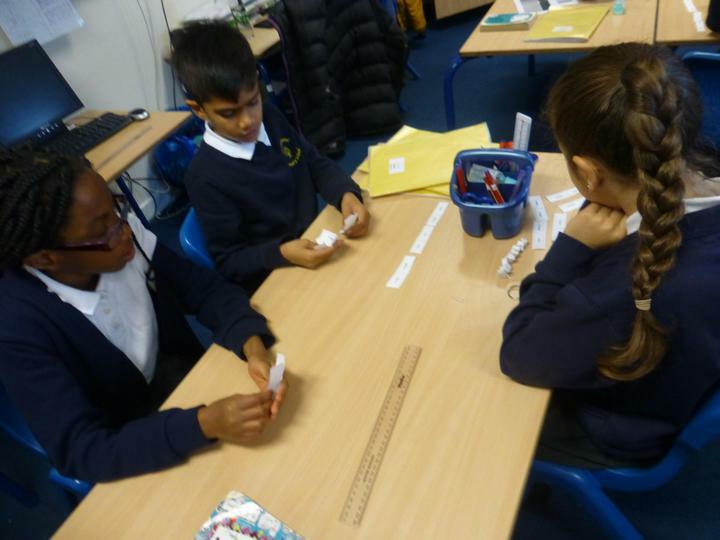 We then used our reasoning to complete a dominoes came to match up the measurements that were equivalent to each other. Then when we were confident with this we had a go at making out own version of the game. 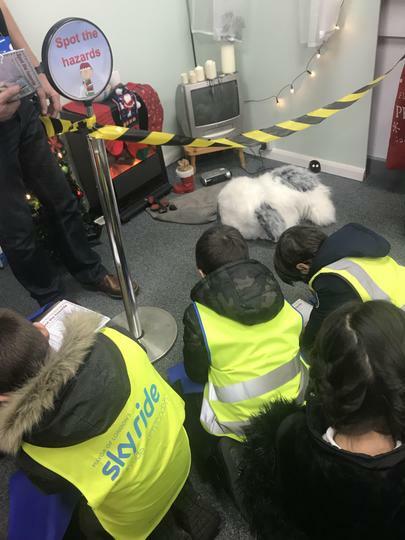 During this week we attended the Environmental Health Christmas Fair. 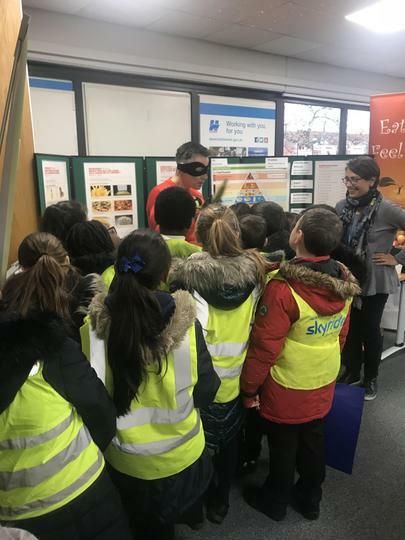 While we were there we visited multiple different booths that informed us about interesting topics, such as healthy eating, sound pollution, personal hygiene and many more. This week in maths, we continued using our knowledge for multiply by 10 and 100 to begin converting different measurements. we began by looking at what length means and how we can measure length differently. Once we had identified the different units of measurement for length (mm, cm, m and km) we began to look at how we can convert between the different measurements. For example, 2cm = 20mm. In English, we have been looking at the features for non-fiction texts. 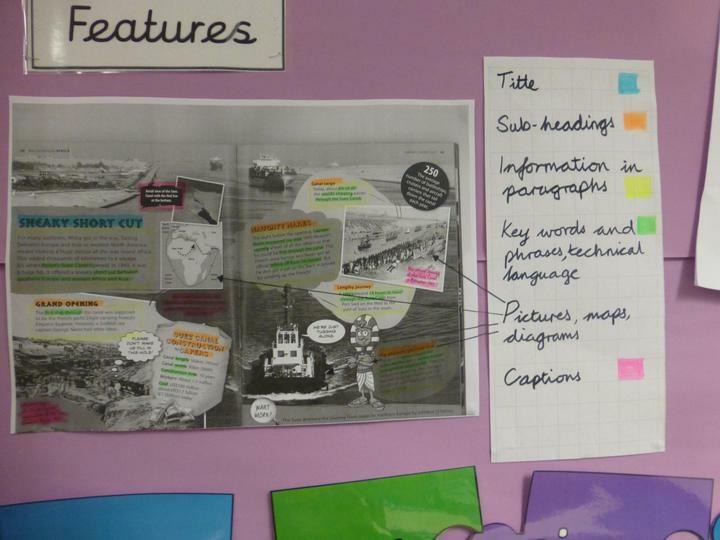 We looked at the features of non-fiction texts, such as sub-headings. We then looked at how we can retrieve information from the text. We continued looking at how we can use non-fiction texts to make our own notes about the interesting facts and information we have read. During maths this week we focused on multiplying and dividing by 10 and 100. First we discussed what happened to a number when you multiply (becomes larger) and divide (becomes smaller). We used our place value charts to explore what happens to the value of the digits when we multiply and divide by 10 and 100. We learnt that when we multiply we move to the left of our place value chart and we move to the right when we divide. During English this week we continued reading The Butterfly Lion and looked at writing to persuade. We looked at developing our viewpoint and developing a case. We then used persuasive phrases in our writing and discussed the effect this has on the reader. We then looked at websites which have a purpose to persuade and we discussed the features. 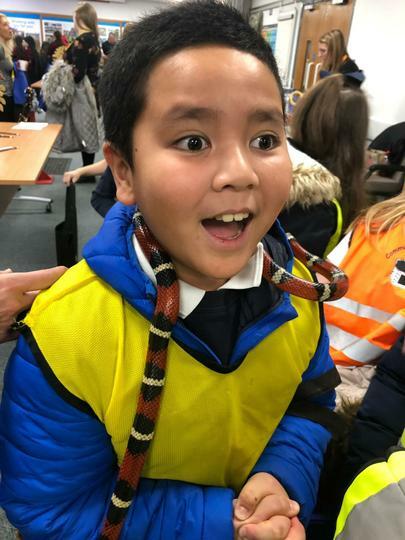 During science this week we looked at the difference between vertebrates and invertebrates. Then we looked at the 5 different groups of vertebrates we can classify animals within (mammals, birds, fish, reptiles and amphibians). This week in computing we began to look at using the programme scratch. We looked at using the sprite (character) and creating coding for the sprite to make it talk and move. In maths this week, we have continued solving problems and using the bar model to help us. We have looked at how the question could change to ask for different information. We looked at questions that asked for the product, the group size or the number of groups. Once we felt confident with this we moved onto answering questions independently and deciding if the question was looking for the product, group size or group number. Next week, we are moving onto dividing and multiply by 10 and 100. In English this week, we have continued to read the Butterfly Lion and base our work around what we have read. We have written letters, we have also looked at arguments for and against. We described Monsieur Merlot's appearance and his character. 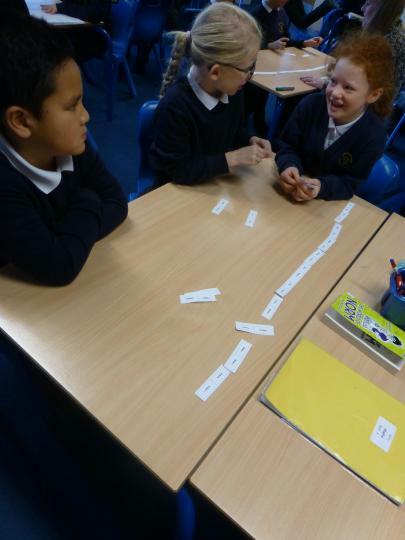 Friday we looked at how we can use time adverbs, prepositions and conjunctions. 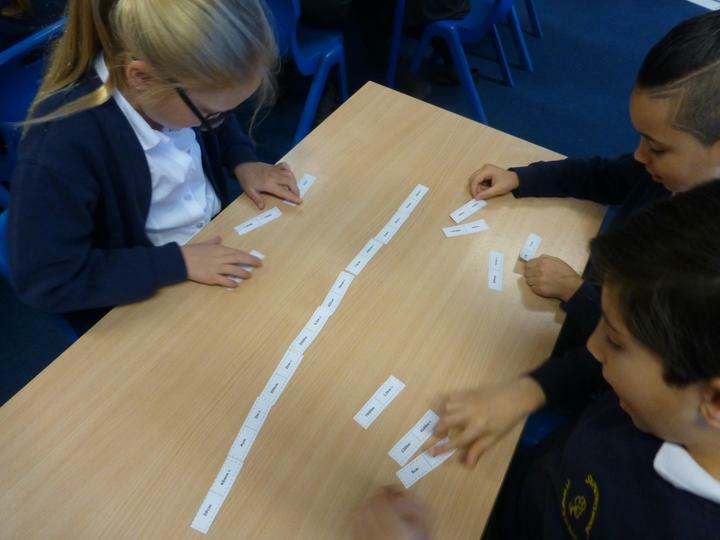 We are going to work towards be able to create cohesion in our writing by structuring sentences in different ways. For anti-bullying week we have complete multiple activities looking at what bullying is and how we can all prevent it. We have carried out role play and class discussion, then we wrote down our thoughts and feelings. In maths this week, we have been focusing on using multiplication and division to answer word problems. At the beginning of the week we looked at factor pairs and used multiplication and factor bugs to help us. Then we started to look at the word problems and how we represent them. We were introduced to new ways of representing the question and finding our answer. We used bar models to help us visually understand what the question is asking. As the week progressed we moved onto looking at how we could use the models to ask other questions and looked closely at the language used that could help us. In English this week, we began reading the book Butterfly Lion by Michael Morpurgo. While be have been reading this we have been looking at different grammar techniques to use in our writing. We have looked at writing the in the present perfect form, using the apostrophe to show possession and punctuating direct speech. Following the sad news this week that has affected all of year 4 we have spent some extra time doing some PSHE activities. Such as Circle time, reading Michael Rosens 'Sad Book'. Don't be afraid to talk to your child about this situation and if you need any support or guidance please speak to the school office. In English, we began looking at different types of poetry and the different features they may have. We then looked at onomatopoeia and why it is used in poetry. Once we felt confident with this we wrote our own poem based on the Sound Collector by Roger McGough. In Maths, we moved onto looking at multiplication. First we looked at understanding how multiplication is the same as repeated addition. We then created arrays for multiplication and regrouped them to create different multiplication sum which would help us to find the same answer. Finally, we looked at learning multiplication facts through building arrays. In English, we have completed our recount about the journey Sophie and Charles made to get to Paris. We then moved onto creating our own speech, for an alternative ending for the book Rooftoppers. We developed our understanding of how to correctly punctuate direct speech, before moving onto creating our own. In Maths, we have been developing our understanding of formal written methods for addition and subtraction. We used the column method to do this and looked at how we regroup our place value to be able to add or subtract (this is carrying the one over). We also revisited mental strategies which help us to find the answer, without having to complete any written methods. In English this week we have continued to work on writing a recount. At the beginning of the week we were looking closely at the characters in the book and how they are feeling. We discussed our opinions on the emotions shown in the text as the two main characters Sophie and Charles made their way to Paris. We then moved onto planning our recount of the story, through the eyes of Sophie. By the end of the week we had written our introduction, which included the 5 w's (Who, when, why, what, where) and the next paragraph. In Maths this week we have been developing our mental strategies for addition and subtraction. We looked at ways we could change calculations to make them easier to calculate in our heads. We used rounding to estimate the answer before we worked out the answer mentally. Towards the end of the week we moved onto looking at equal differences. We started with a sum such as 24 - 12 , and look at what the answer was. We discussed how the answer was the difference between the numbers. We then used the cubes to investigate what happened to the calculation and its answer when we added the same amount of cubes to each number. We found that the sum became a new sum but the difference stayed the same. In English this week, we have continued to look at Rooftoppers, but have moved onto looking at how we write a recount (our own version of how the story happened). We have started by looking at some of the features we will have to use, such as writing in 1st person and past tense. In maths this week, we have been continuing to think about adding mentally and looked at the 'think 100' and 'think 1000' strategies. This required us to think about regrouping (for example, moving the tens in a number to the other number in the sum.) and changing a sum to make it simpler to add mentally in our heads. Our workshop this week was very fun! We travelled back into the Victorian era and learnt all about life as it was when Queen Victoria reigned. We explored this through drama and enjoyed learning about all the great inventions that were created during this point in history. We then explored what life was like in the work house and met the strict owner Mr Bumble. During this day we also began our DT project and looked at Victorian houses and what the rooms were designed like. We then designed our own room ready to make it inside our shoe box to create a large dolls house. This week in English we have been continuing to work towards writing a setting description based around the story we have been reading in class called 'Rooftoppers'. We first looked into different features we were going to use such as prepositions and correctly formed sentences. Then we planned using our 5 senses (see, hear, touch, taste and smell). Then we began writing our setting description of what it was like when Charles found Sophie in the cello case, making sure we were as descriptive as possible. The we edited and improved our work with the help of each other. 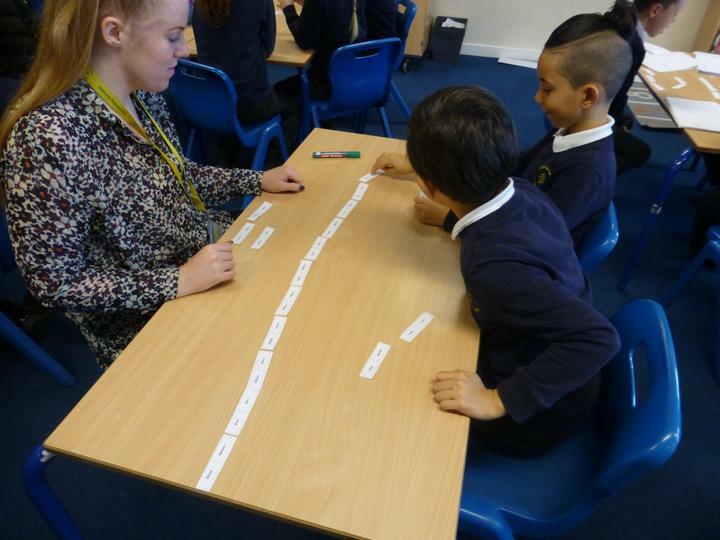 This week in Maths we were looking at estimating numbers on a number line, with different scales. We had to use our knowledge of halving numbers to help us find the point between the two numbers on the number line, then we could estimate certain points on each number line. On Wednesday, we moved onto looking at rounding numbers to the nearest 10, 100 and 1000. First we looked at the place value of numbers and how this can help us to round numbers. We also discussed how we know when to round up of down. We then rounded 4-digit numbers to the nearest 10, 100 and 1000. Once we were confident we could then complete and activity to use our reasoning and a speaking frame to explain how we know when to round up and when to round down. In Science, we have continued to look at electricity. This week we began to look at the symbols used to represent components in an electrical circuit. We then had a go at drawing a simple circuit that would make a lamp light up. The children are settling in well and have been working hard across the curriculum. Thank you to all who attended our "Meet the Teacher " presentation on Thursday. In Maths this week, we have been looking at the place value of 4-digit numbers. We first looked at the value of each digit before moving onto using the dienes to represent the numbers and partitioning them. once we felt confident we moved onto finding 1000 more or less of a given number and were able to sequence the numbers in order. Towards the end of our week, we compared 4-digit numbers using the more than (>) and less than (<). In English this week, we have begun looking at a book called Rooftoppers, which is set in Victorian times. We have read the first few chapters and will be creating a setting description of how the shipwreck would have looked if we were there. We have been using our 5 senses and creating expanded noun phrases based on images from Victorian London. Our Science topic this term is electricity and we have started to look at how electricity is used. We looked at mains electricity and batteries. We were then able to classify whether something used mains electricity or batteries. Below are details of our Topic Learning Web and the Homework Grid. For our first few days of the new academic school year we have been looking at our school theme of 'Love and Belonging'. We have also complete 'getting to know you activities' as we settle into our new classes with our new teachers. Times tables By the end of year 4, the children need to know their times tables up to 12 x 12. Here is a great game to help learn them.